The Manning resident joined the Woman’s Royal Australian Army Corp (WRAAC) in October 1970, where she underwent basic training, before completing a clerk course at Irwin Barracks in Karrakatta. Ms Atkinson said that at the time women were only allowed to enlist in the Royal Australian Army Nursing Corps or the WRAAC, where they performed administrative and other support tasks. “Once I was qualified I was posted to the second recruit training battalion (2RTB) in Puckapunyal,” she said. While at Puckapunyal, Ms Atkinson met her husband and discharged from her post ahead of their marriage in December 1972. In August 1980, having had two children, Ms Atkinson missed the comradery of the services so joined the Army Reserves. Despite it having been only 10 years, she said it was daunting to have found everything had changed. “When I was in the army it was a chargeable offence (for women) to touch a weapon but when I re-enlisted the females had the same training as the men,” she said. “Not having to do recruit training again, I went straight into a pay unit but was then put on a military skills course which was part of the pathway to get promoted. 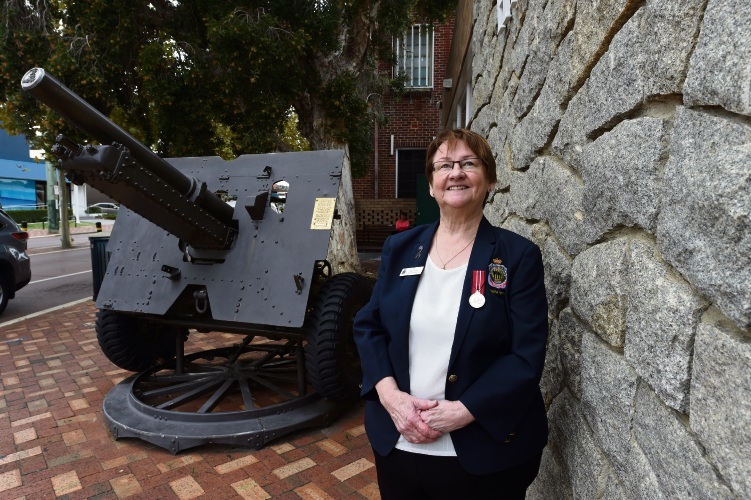 Seven years later, Ms Atkinson left the reserves and eventually joined the South Perth Returned and Services League (RSL) where she now serves as secretary. She said the changes she began to see as female in the army were just the start and that it was wonderful to see more women at Anzac services wearing medals on their left side and standing proud. “In Britain they are now letting women into the Special Air Service and we are hoping within five years a lot of the combat roles that are still forbidden in Australia will not be,” Ms Atkinson said.